Halloween night is coming in fast. And here's the thing, it can be tricky to amp up the spook factor of those ghouls and goblins that come to your door on Halloween night. You know what's trickier? Treading the scary and silly line to make the night exciting. You remember walking the blocks with your pumpkin pail, right? You'd walk along with glee, running up the jack-o-lantern lined sidewalks of neighbors. Then you'd come upon a truly scary lawn. Was that spooky dummy in the yard alive? Was he going to jump out at you when you passed, making you let loose with a shriek? Those particular lawns went too far. The missing element that will balance your Halloween decor? The sound effect factor! 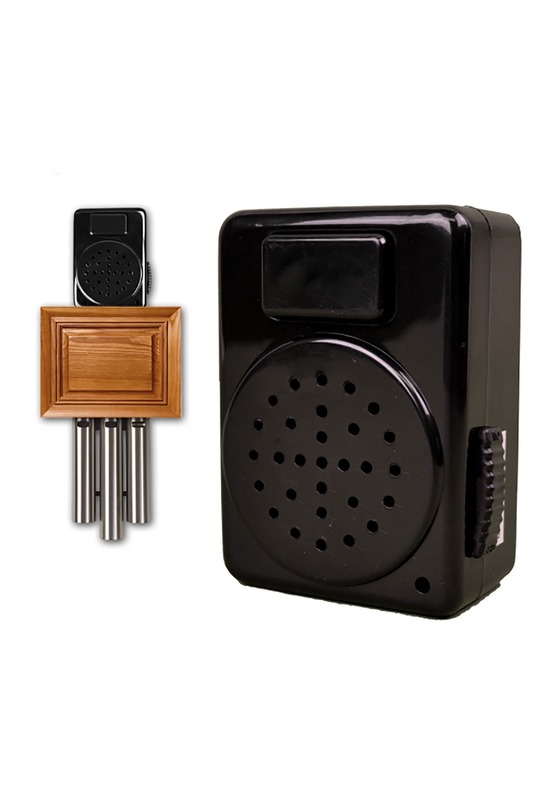 This doorbell will take your existing doorbell and replace its happy everyday ring with scary sound effects. Or if you don't have a doorbell, you can use the motion detector function so that it goes off when a trick-or-treater comes to your door. Now you'll know when you've got a ghoul seeking treats at your door and they'll get a thrill at the same time! 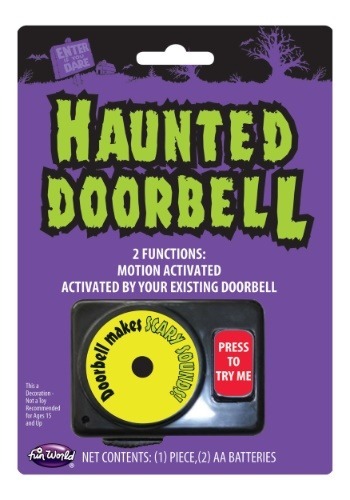 This doorbell is sure to make you seem like you've got some spooky guests inside your house. Maybe your neighborhood ghouls will even come back next year to see what spooks you have in store again! One important thing is certain, this bell will keep your household in creepy character this All Hallows Eve!